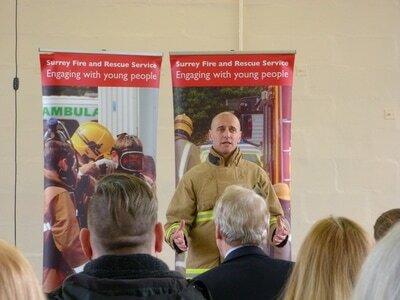 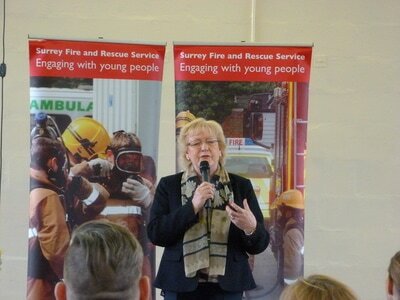 Last week Walton-on-Thames Fire Station hosted the 63rd Surrey Fire & Rescue Service (SFRS) Youth Engagement Scheme (YES) with 11 participants from across Elmbridge, Runneymede and Spelthorne. 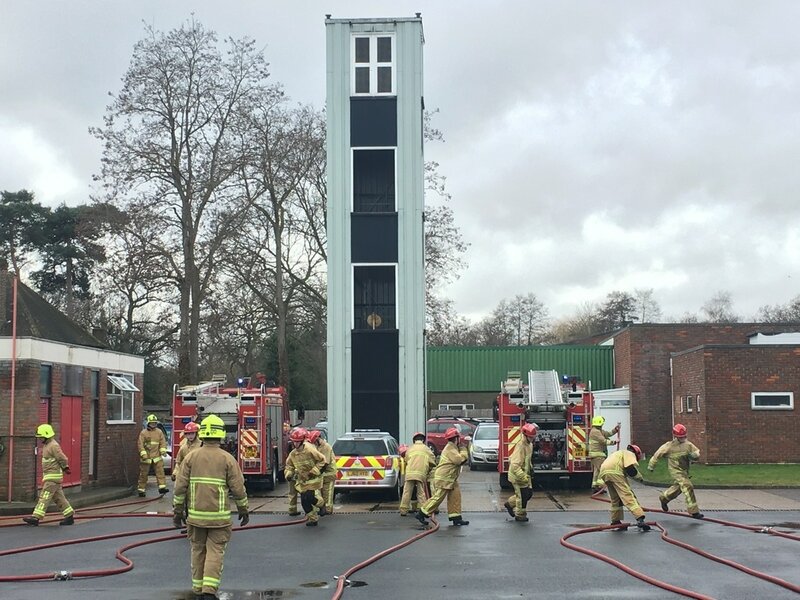 Created in 2006, a total of 535 young adults have now completed YES … the week-long intensive training and coaching scheme that providing training in Fire Drills, First Aid, Communication, Leadership and Team working skills. 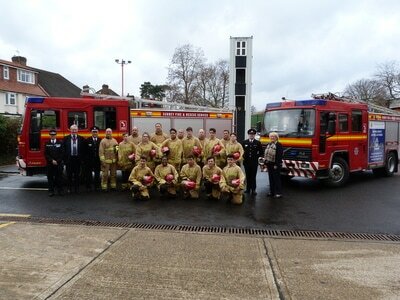 YES offers the selected young people a unique experience of the Fire Service, allowing them to embrace new activities, learn new skills and behaviours to take with them for the future when returning to education or seeking work. SFRS deliver 6 courses every year across 3 locations: Walton, Gomshall and Reigate. 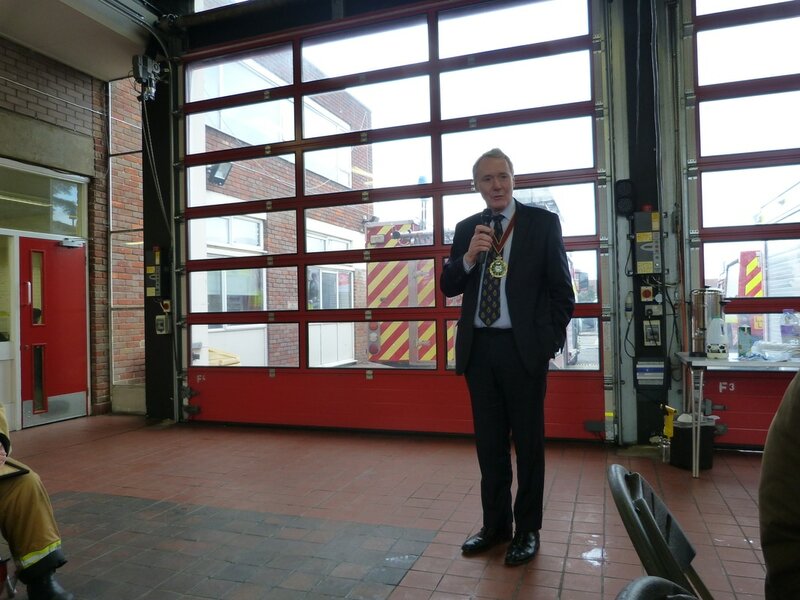 The courses are financially supported by The High Sheriff Youth Awards, The Police and Crime Commissioner and for Walton specifically The Walton Charity. For participants the climax of the week’s course was a “passing out parade” in front of their families, teachers and local dignitaries representing The High Sheriff, Surrey County Council, Elmbridge Borough Council, The Police Commission and WoTTA (Walton on Thames Trading Alliance). 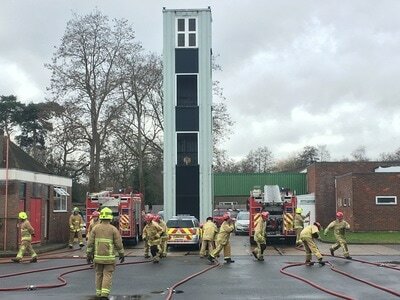 Working as Blue and Red squads the audience witnessed 3 Drills which included the deployment of breathing apparatus, ladders and hoses, the use of hydraulic equipment to lift a car to release a ‘dummy victim’ to replicate real-life scenarios faced by the Fire Service. 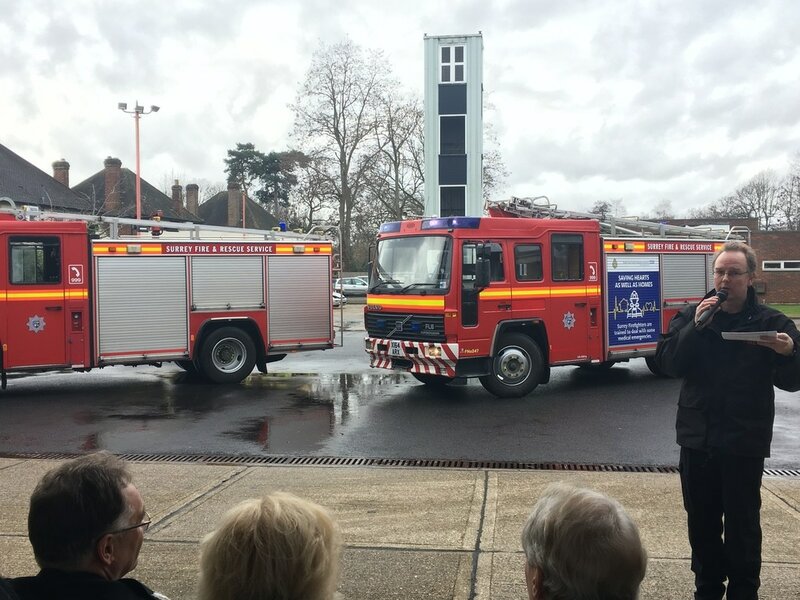 After the young teams had completed their display, they were addressed by Group Commander Bryn Strudwick on behalf of the Chief Fire Officer, The High Sheriff Richard Whittington and then presented with Certificates of Completion by the instructors from SFRS. 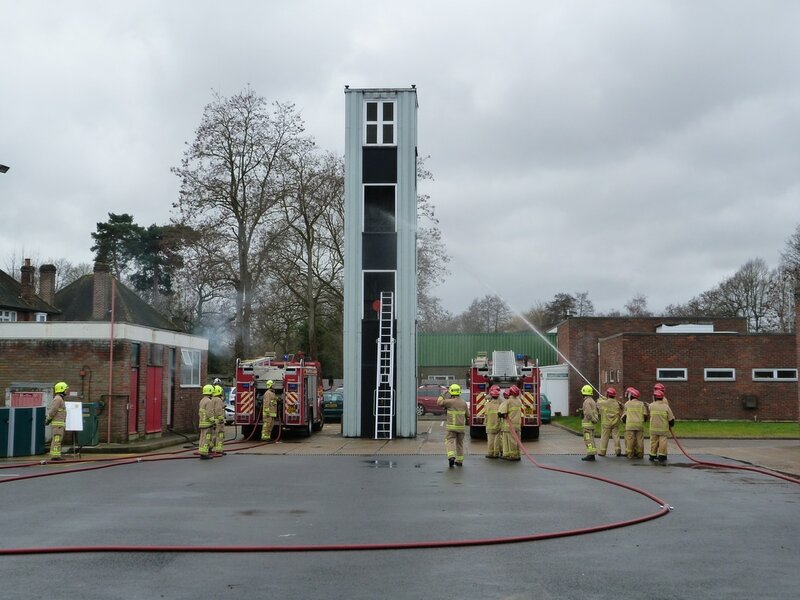 The group will come together again for a follow up day in March 2015 at Thames Young Mariners.